Quality photos are essential for your wedding photography business and website. 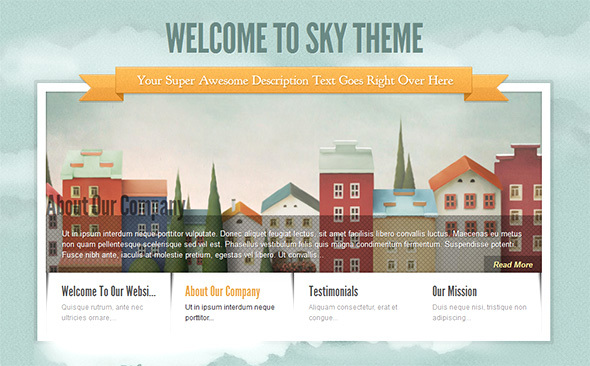 You need a theme that is professional and smart, just as you are. 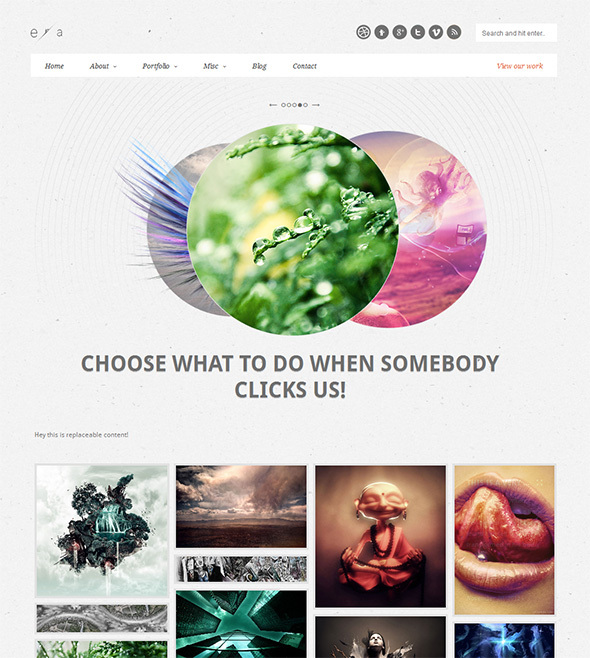 Photocrati is the most popular photography WordPress theme in the world. It comes with many different theme styles, 60 skins to choose from. 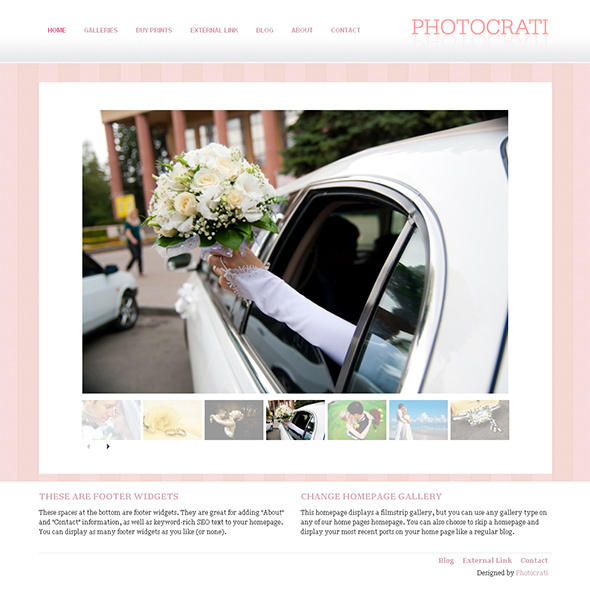 Photocrati Supertheme is responsive, iPhone and iPad compatible, so you can share your wedding photos with mobile users. 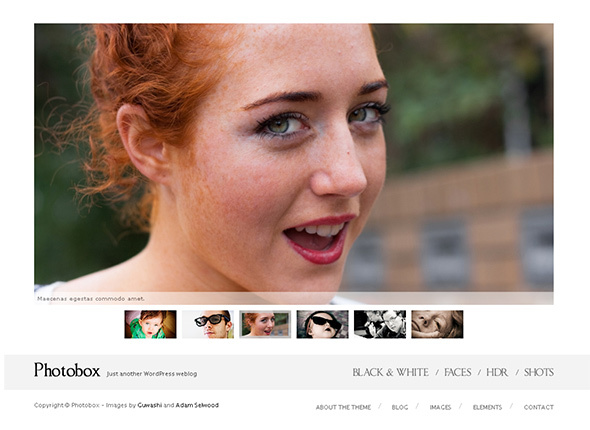 Photobox WordPress theme is perfect for photography or portfolio showcases. It has a lot of design options to choose from: 5 different theme styles, 4 stylish fonts, 3 page templates and 3 custom widgets. All of that could be set up in less than 5 minutes: just upload your photos and enjoy your new wedding website. Another great feature – the main slideshow has 9 different options, such as shuffle images, autoslide, etc. Clean is a responsive, minimal, and extremely stylish WordPress theme for wedding photographers that looks amazing across multiple devices and screen resolutions. It comes with Google web font integration, masonry or normal layout, custom options panel, widget ready sidebars and an author page template. Clean theme also features infinite scrolling and a touch swipe slideshow and you can easily set your own colors to this theme. Photopassion WordPress wedding theme has a clean design style with 4 color schemes and many options for a great image representation. 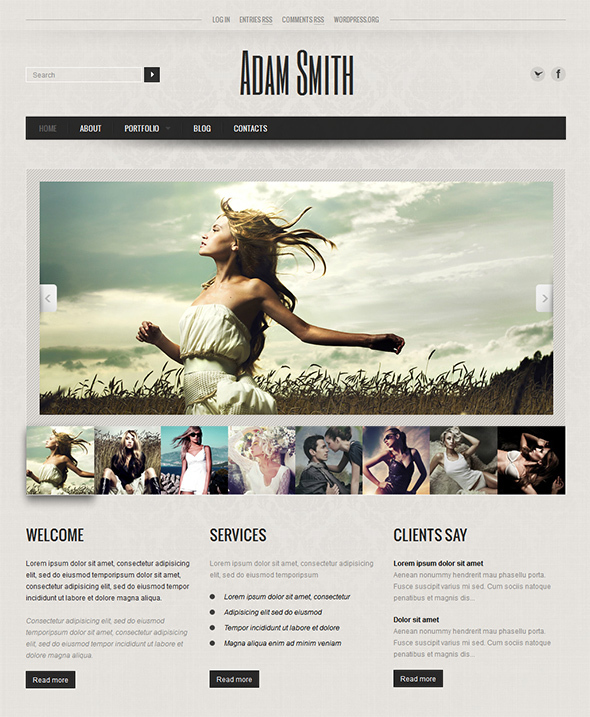 It was designed for photographers and can be your perfect personal wedding portfolio website. Photopassion theme includes unique photography slider supporting mousewheel and keyboard navigation. In addition, you can create gallery in just 1 click! It has 3 home page sliders, unlimited sidebars and 4 custom widgets. Mini Folio is a WordPress portfolio theme that is easy to modify and customize using the admin panel. This theme comes with filterable and classic portfolio options, unlimited colors and pattern options. Also, it features a full screen background which is great for displaying beautiful large photos. Mini Folio theme also supports Vimeo and YouTube video files. You can also present your portfolio using a slider mode. 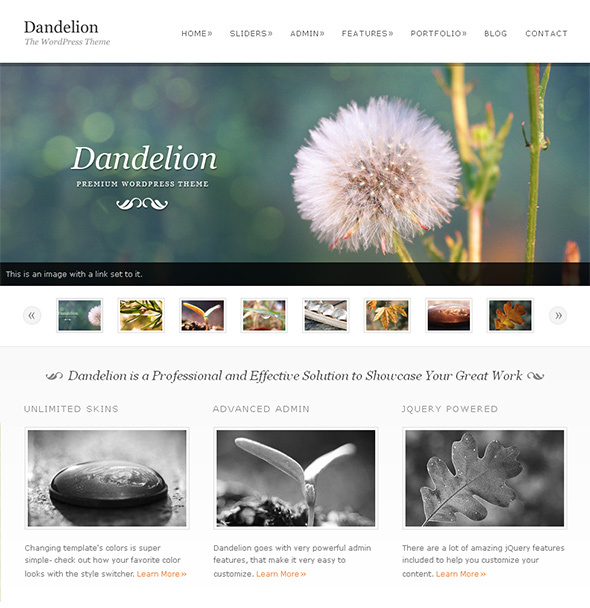 Dandelion is one of the most elegant and professional WordPress themes for wedding photographers. It is highly flexible and allows you to choose from 32 custom pattern backgrounds. Additionally, you can create your own custom skin using a color picker to select your favorite colors from the admin panel. Dandelion theme comes with very powerful admin settings to satisfy all your needs without having to change any code. This theme also includes three different jQuery sliders – Thumbnail Slider, Nivo Slider and Accordion Slider – perfect for a great presentation of your wedding photos. Photocraft is a perfect WordPress theme for photographers to showcase their skills and their photos. It has a fully customizable front page, so you could make it unique and personal. 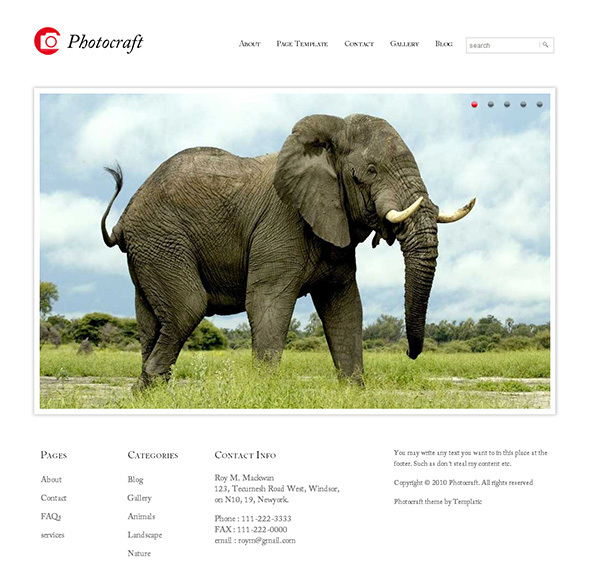 Photocraft theme comes with an easy to use, intuitive control panel that allows you to configure all aspects of your website without touching the code. You can also choose to display your gallery in a listing or detail pages and translate this theme into your native or other languages. Sky is a very attractive WordPress theme for wedding photographers that is sure to leave your visitors surprised and refreshed. This theme is unique in the way its homepage operates assuring your initial page load speed to be lightning fast. Sky theme comes with 4 different color variations, all highly suitable for displaying wedding photos. 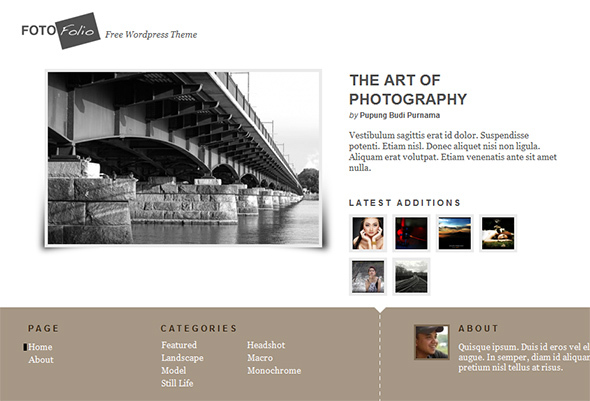 This theme also has a beautiful gallery section integrated into the dynamic content area of the home page. 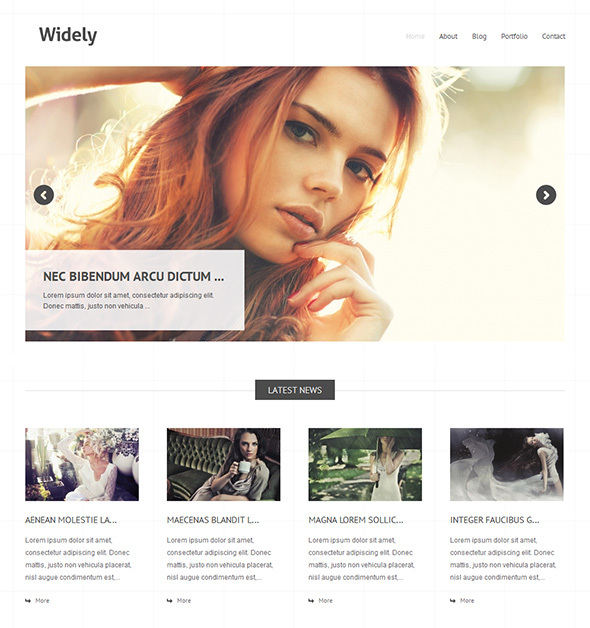 Widely is another great minimalistic WordPress theme for people who want to quickly publish their portfolio. Clean design allows your displayed photos to get all of your visitors’ attention they need. You can customize the theme anyway you like via custom admin panel and shortcodes. Widely theme also comes with a several custom widgets that help you to display dynamic content. Aware is a responsive portfolio WordPress theme for wedding photographers. Its interactive features delightfully enhance your most loved portfolio pieces. 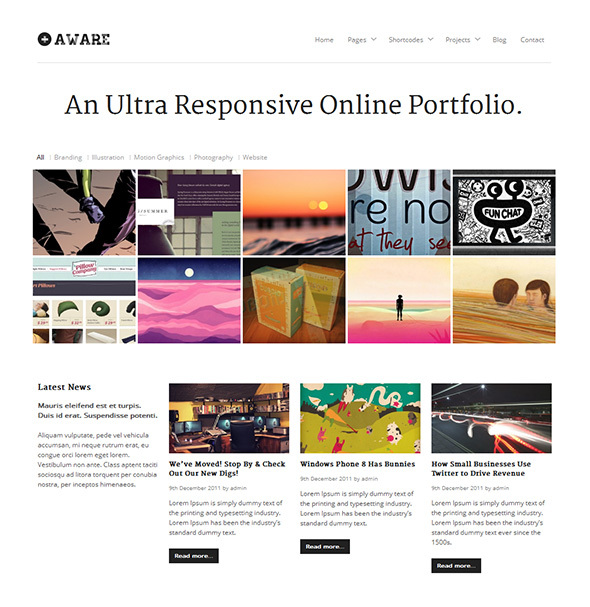 Aware theme has an Ajax powered portfolio homepage and you can choose between light and dark versions. It also comes with 5 custom widgets, 6 featured section textures, a working contact form and translation ready .po/.mo files included. 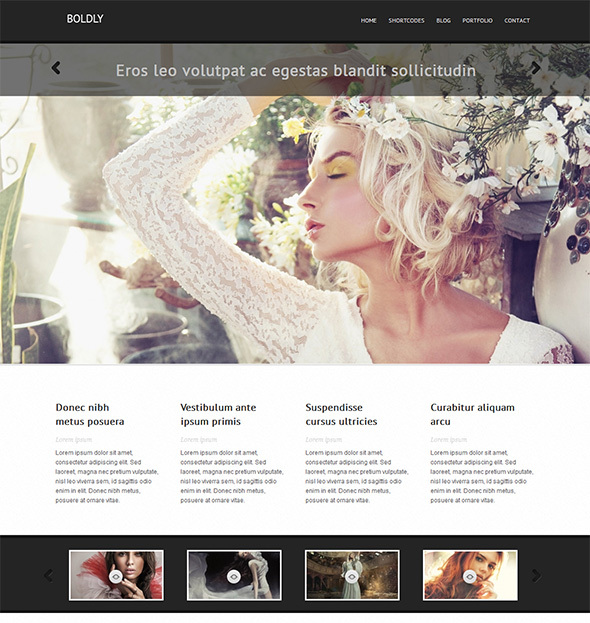 Fotofolio is a free WordPress theme for photographers. It has stunning looks and is simple and easy to use. Its captivating design is perfect to display your beautiful works. Fotofolio theme automatically resizes images for thumbnails and preview. It also has a jQuery powered slideshow for featured photos. 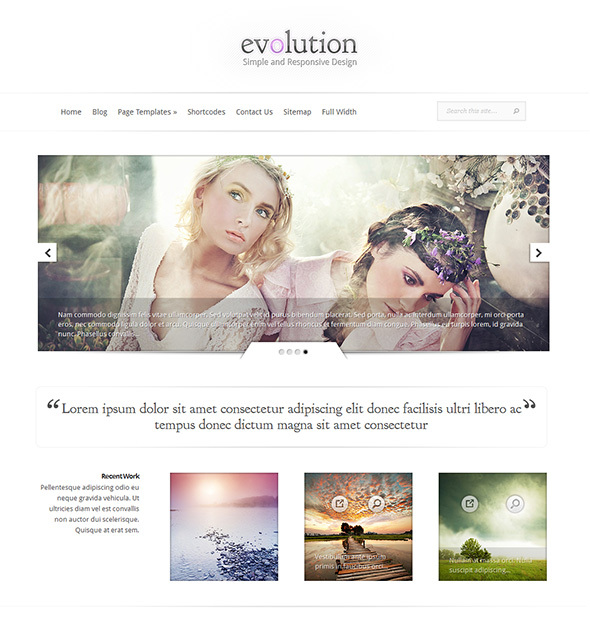 Evolution is a fully responsive WordPress theme for wedding photographers. It is able to automatically adapt to various screen sizes, even if you’re only reducing a window size of a browser. 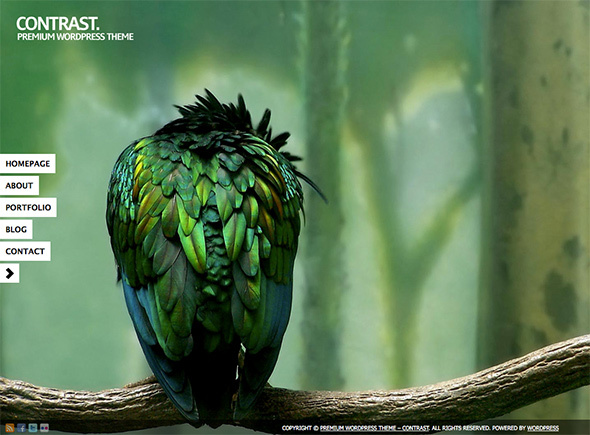 Evolution theme comes with 4 different color schemes (white, blue, green and red) and an optional blog-style structure. The design of this theme is simple, yet stylish, allowing your visitors to concentrate on your works rather than the design of the website. Era is a functional WordPress theme with a visually appealing design. It is the ideal combination of looks, speed, features and performance. Era theme is jQuery and Ajax enhanced using a clean and powerful code focused on usability and customization. This theme is very easy to setup and it doesn’t have excessive amount of unnecessary elements needed. 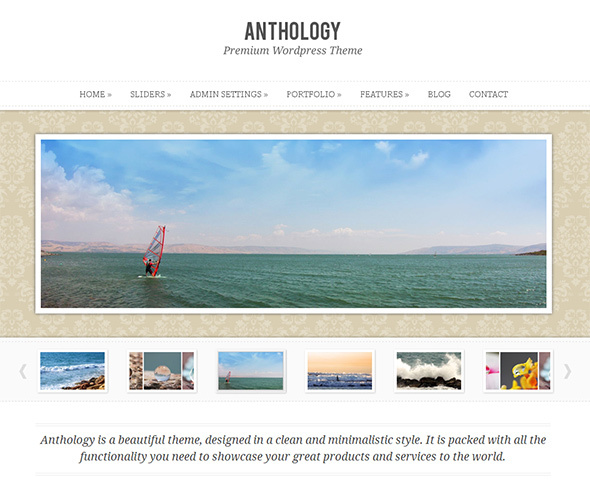 Anthology is an elegant, very powerful and highly flexible WordPress theme. 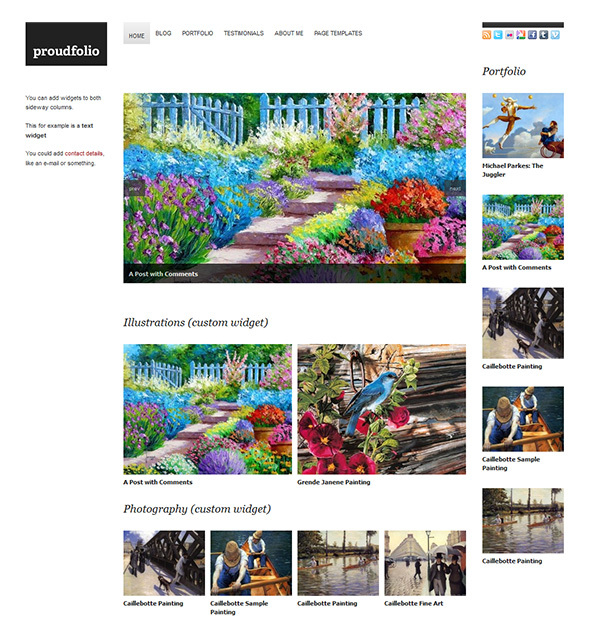 It has 3 impressive portfolio galleries with great functionality. It also includes a Thumbnail Slider for the easy showcasing of a large number of images and a Nivo slider for a wide variety transition effects. Anthology theme gives you unlimited number of colors and 29 pattern background variations. 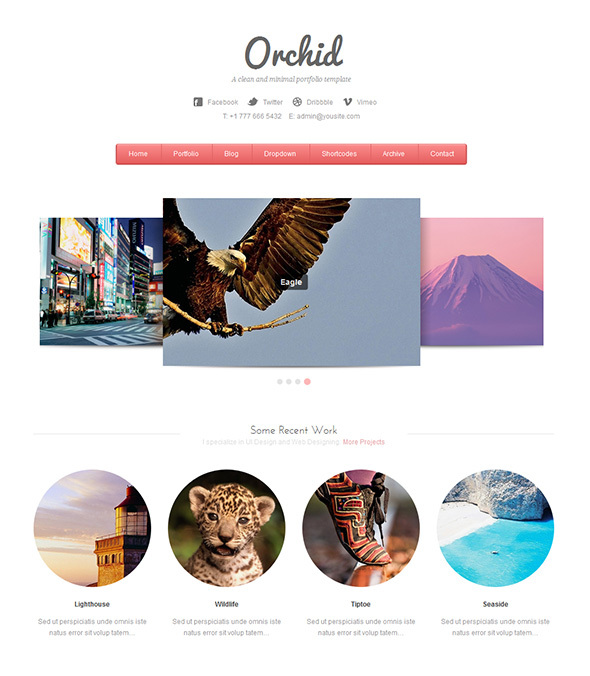 Orchid is a simple and clean portfolio type WordPress theme for wedding photographers. It is a responsive theme with a stunning look, which makes your portfolio as beautiful and stylish as your works. Orchid theme comes with 3 different color schemes that are all common in wedding patterns. This theme also features stylish menu with dropdown links, homepage carousel and social link options in the header. 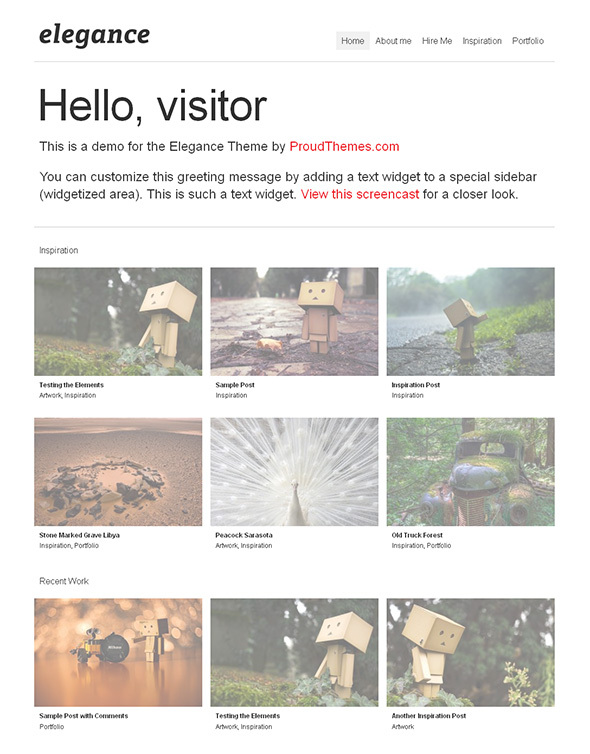 Elegance is a minimalist portfolio style WordPress theme. It has a functional layout and beautiful typography. Elegance theme comes with several custom widgets especially developed for this theme. It also has an advanced options panel that allows you to easily customize every detail of the theme to best suit your needs. AS Photography is an exceptional portfolio WordPress theme for wedding photographers with a unique flash slider on the home page. It has a functional layout, attractive sound effects and a stunning looks. 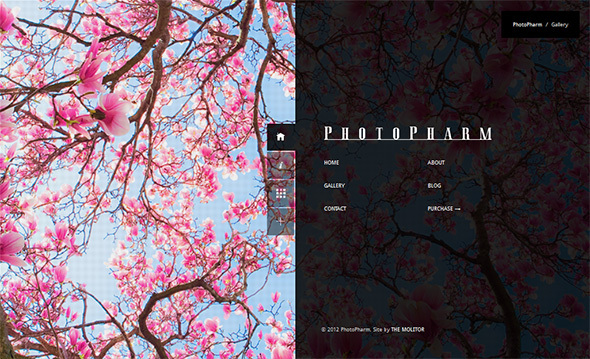 AS Photography theme features several widget positions and ready-made useful page templates (about, contact and blog). You can also display your works in a one-column, two-column or three-column portfolio templates. Autofocus 2.0 Lite is an amazing free WordPress theme with clean and simple design. It was developed for photographers looking to showcase their work; hence, it’s also a great choice for a wedding photographer. It features a strict grid based design mixed with clean typography and a baseline grid, widgetized sidebar areas, and a support for video and gallery embedding via oEmbed. 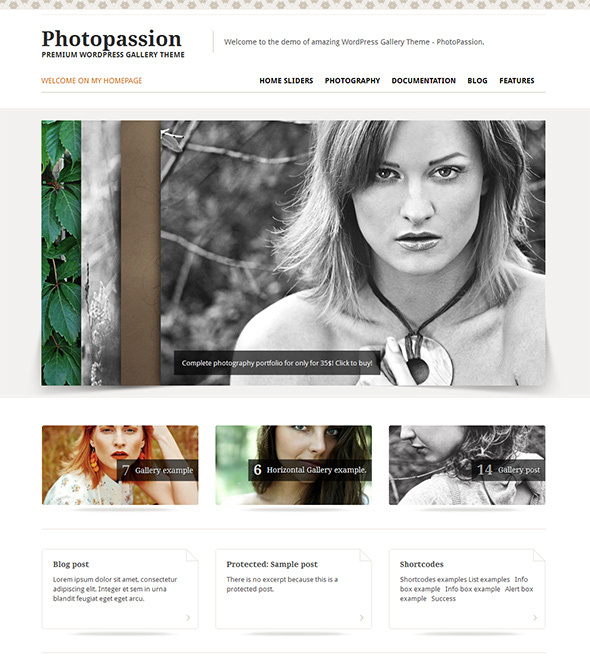 PhotoPharm is an ideal WordPress theme for photographers. It has full screen image background feature, unlimited link color options, easy logo customization and an optimized layout for the iPhone, iPod or iPad. It is an outstanding theme that utilizes a full screen slideshow feature for the maximum impact. This assures every customer will remember your online portfolio website. Also, this theme comes with layered PSD, JPG image, CSS, JS and PHP files included. Big Square is a free WordPress theme highly suitable for wedding photographers. 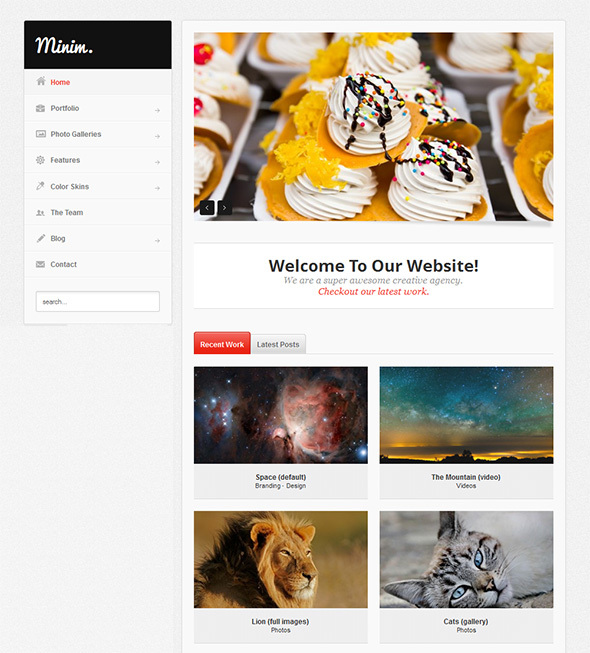 It is a clean, tidy and elegant theme that lets your photo works speak louder than text. 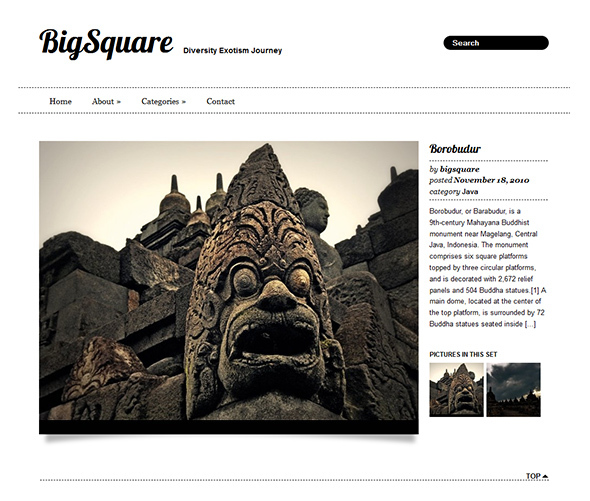 Big Square theme also features jQuery scroller, dropdown menus, image excerpt, and much more. 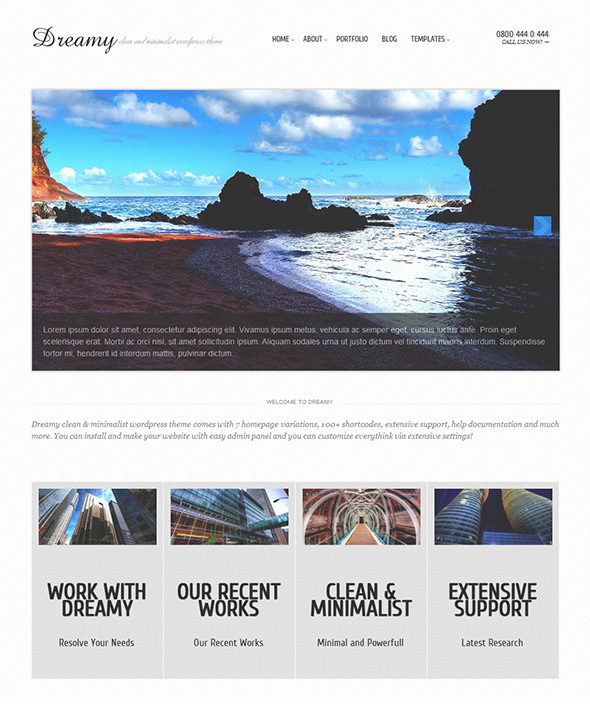 Core Minimalist Photography Portfolio is a very stylish and modern WordPress theme. 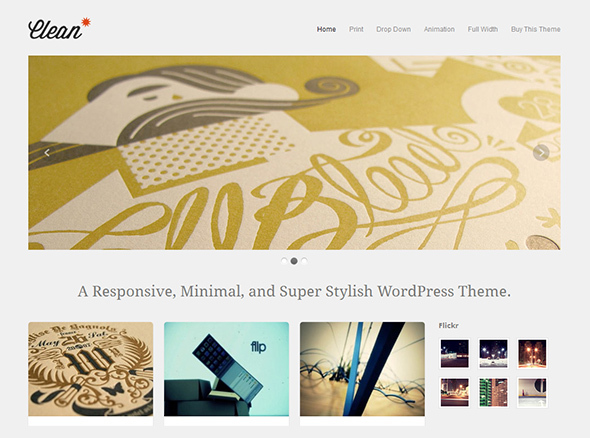 Its prime feature is image flow slideshow, which makes this theme outstanding among other WordPress portfolio themes. It also has 3 home page styles, full screen slideshow for photo gallery, built-in font manager. Rhea is a modern WordPress theme for wedding photographers built with the latest WordPress features. It comes with a fullscreen photo gallery slideshow with a music support for homepage. 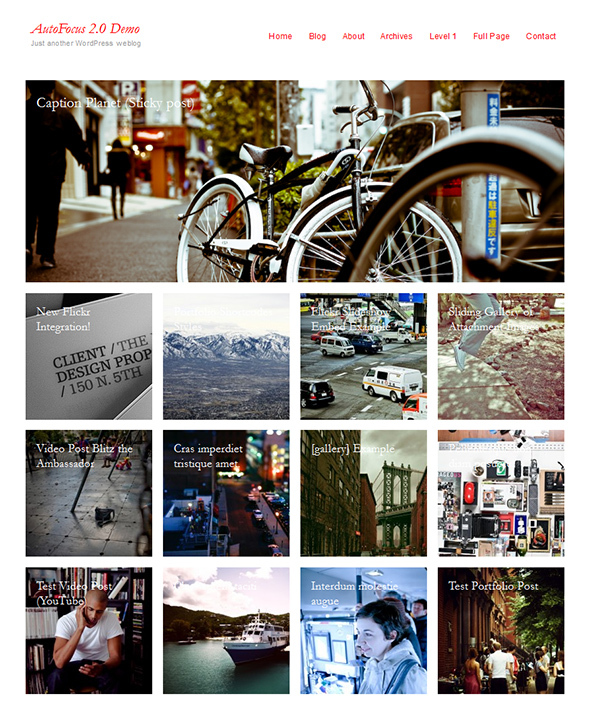 Also, you can choose from 7 different gallery page templates. Rhea theme supports password protected galleries, so you can provide some privacy for your clients – only those who have a password will be able to see the dedicated gallery. Photolux is a WordPress theme with an implemented full-height full screen slideshow template suitable for both portrait and landscape oriented images. It is a great feature that every photographer would love to have on their website. 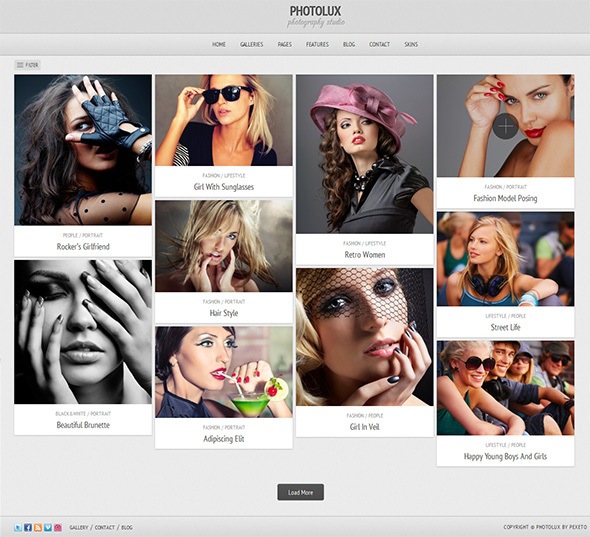 Photolux is an elegant theme powered by the advanced Pexeto Panel, which provides a lot of options to easily manage and modify the theme. This theme also includes a flexible AJAX gallery with many beautiful jQuery animations and effects. Dreamy is a clean and minimalist WordPress theme for wedding photos. It comes with 12 different color skins, 8 sliders and 6 unique home page presentation variations to choose from. Dreamy theme features automatic image resizing, Ajax powered contact form, easy and powerful admin settings panel. It also comes with an original jQuery powered home page animated menu. Contrast is an exceptional WordPress theme, which allows you to select any type of backgrounds for any posts and any pages you want. 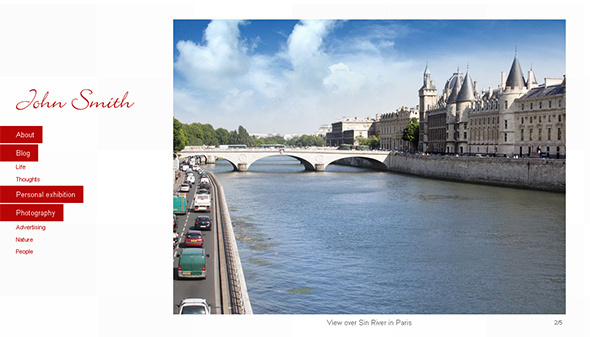 You can choose simple color or image background, but why not try flash video or even google maps for your background? Contrast theme also has a unique portfolio slider with nice effects and great performance. Navigation with multi submenus and user friendly search tab are included. In addition, you can show your thumbnails with cool hover effect, which opens a lightbox on a click. 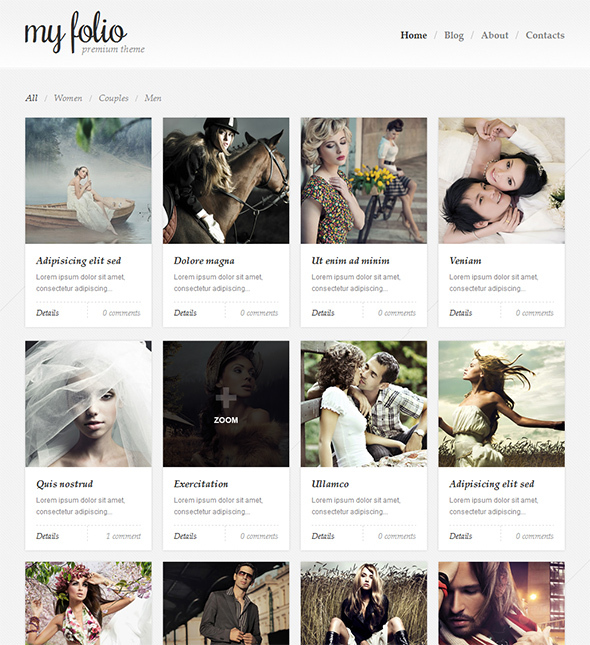 Proudfolio is a WordPress theme aimed to photographers including those who photograph weddings. This theme was designed to showcase your work in a clean minimalist look. It comes with an easily configurable slideshow on the home page allowing you to promote featured images or posts. Using the Proudfolio theme you can easily customize every detail of your theme to best suit your needs. Boldly is an attractive WordPress theme that has been created to be used as a creative portfolio website. It has a simple and clean designed, powered by jQuery plugins and custom widgets. Boldly theme is user-friendly and easy to customize. It comes with a few different color schemes that you can select and change instantly via theme administration. Portfolio v1.0 is a clean looking portfolio WordPress theme for wedding photographers. It allows you to showcase your works in an efficient way. You can easily customize the theme using a built-in options manager and create your own menu hierarchy using custom menu option. 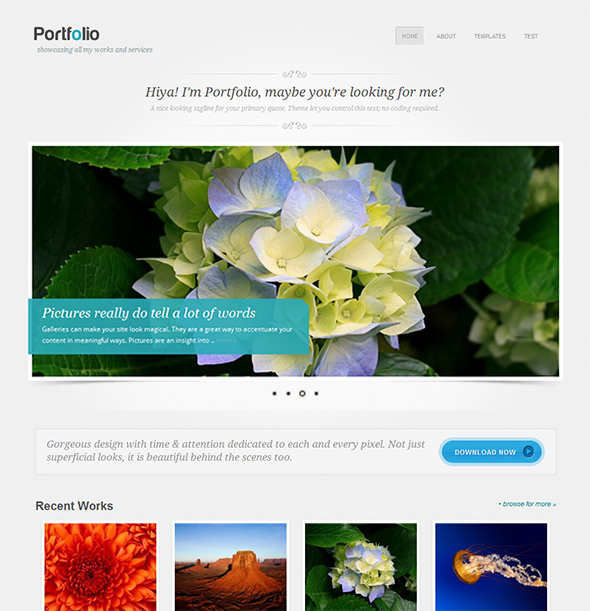 Portfolio v1.0 theme also comes with full width, gallery, blog and contact page templates. Delicious photography is a unique and very stylish WordPress theme which has a nice flash-like look. It has a stylish gallery layout, various animation options. Also, Delicious photography theme is AJAX powered; therefore no page is reloading after clicking on the link. You can choose a color for your website using the color picker right from the admin panel. Minim is one of the greatest minimalistic WordPress themes for wedding photographers. It focuses on the portfolio content and allows you to easily showcase your work in an elegant fashion. Minim theme has 6 different portfolio item styles (default, slider, video, gallery, full images and plain). It also comes with a top notification bar, which is perfect for your latest news or special announcements. PurePhotoPress comes with a highly functional slider manager, where you can easily create and manage slides to be displayed on your home page. PurePhotoPress theme also has a unique horizontal gallery view and supports password protected galleries. It comes with 3 different colour schemes and 15 types of background. Lovely collection. Thanks for pulling this together! Amazing niche that you summarized. This is in fact something I would like my wedding photographer to show before I pick him! Thanks for sharing all these great themes.